Being in New Zealand I am fortunate to be surrounded by Regional Tourism Operators, airlines and other hospitality organisations that punch above their weight when it comes to digital marketing strategies for tourism. From Air New Zealand (with their 1m+ Facebook followers and edgy innovative videos) to my local Regional Tourism Operator, Destination Queenstown who have some really cool campaigns using social, video and media takeovers that really showcase our epic region in their campaigns. 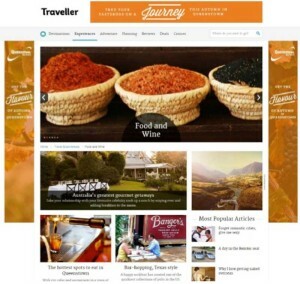 How can a smaller tourism operator mimic large marketing budgets? Read this to find out how you can! For those of you that aren’t in New Zealand, Queenstown is the tourism mecca of NZ. It’s earned a reputation as the adrenaline capital of the world and is the home of bungy jumping. There’s super scenic helicopter and plane flights to Milford Sound crossing lakes, rivers, glacier and mountains, jetboat adventures, 4 world class ski resorts, and there’s a mass arrival of mountain bikers to the region every summer. It’s the ultimate 4 season resort perched between lakes and mountains. Despite all this adrenaline, we’re also pretty much the golfing mecca of NZ, and have world class vineyards on our doorstep so there’s a huge appeal for everyone. We’re a small town of around 20,000 (which jumps to around 100,000 per night in peak season), yet the 4th largest overseas arrival port in NZ. So how the heck do you, as a smaller operator, manage to piggy back on a marketing budget that’s out of our reach? Read on to find 10 ways you can mimic your destination marketing organisations budget. In NZ we call our regional tourism operators RTOs – in your market you may be more used to destination marketing organisation – think ‘Visit Vegas’, ‘Visit Scotland’ or your equivalent. I’ll use some generic targets that are commonly used in our area, but if you’re reading from another location, just change the locations to suit. So you’ve signed up to your RTO (Regional Tourism Operator) and they can target markets in a bigger way than you. Find out where, and when, they are running targeting advertising campaigns. They’ll spend the big bucks to raise awareness, and you can piggy back on their campaigns once your audience are already aware of your region. Imagine they are targeting ‘active older travellers with disposable income’, or ‘weekend warriors who are within commuting distance’. You could let their campaign run for a week, then run your own Facebook campaign with similar demographics. 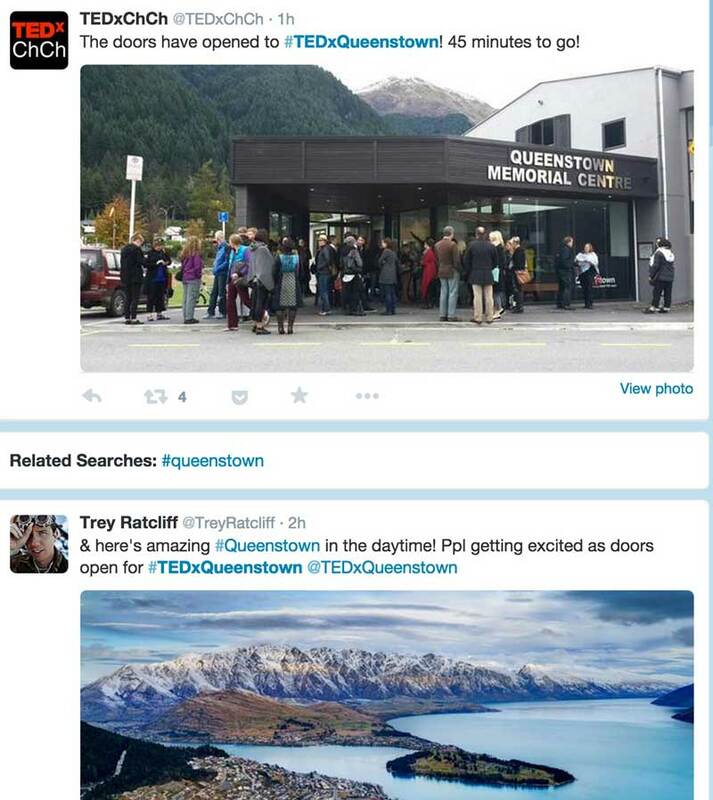 The screenshot below shows a sample Australian audience in an area with direct flights to Queenstown, a more experienced age group, with interests in some of the activities on offer in Queenstown. I’ve narrowed it to a ‘sweet spot’ of an audience of 250,000. You could get more specific than this, or split each interest into separate Ad Groups so you could see the marketing results clearer. This will allow you to make more informed decisions in the future based on the most engaged audience. As an example, if skiiers were more engaged than the wine enthusiasts due to the time of year, you could focus you spend on them. If all adverts are all lumped into one group, it’s guesswork which demographic targeting worked best. If you want to go to the next level, try two different images to see which one gets the best click through rate. Your RTO may be able to afford to take out whole page ads in major print publications such as magazines or newspapers. That may be out of reach of your budget, with each ad potentially costing thousands of dollars. You can still reach a portion of the audience though – target that publication’s fans on Facebook using interest targeting! To do this all you need to do is do some research into suitable publications (which you may well know already) and start typing them into the Interest targeting to see what appears. The east coast of Australia is a good target for us as Sydney is only a few hours direct flight away, so you can see below I can target up to 1.25m people who have expressed an interest in the Sydney Morning Herald, or The New Zealand Herald for our domestic market. 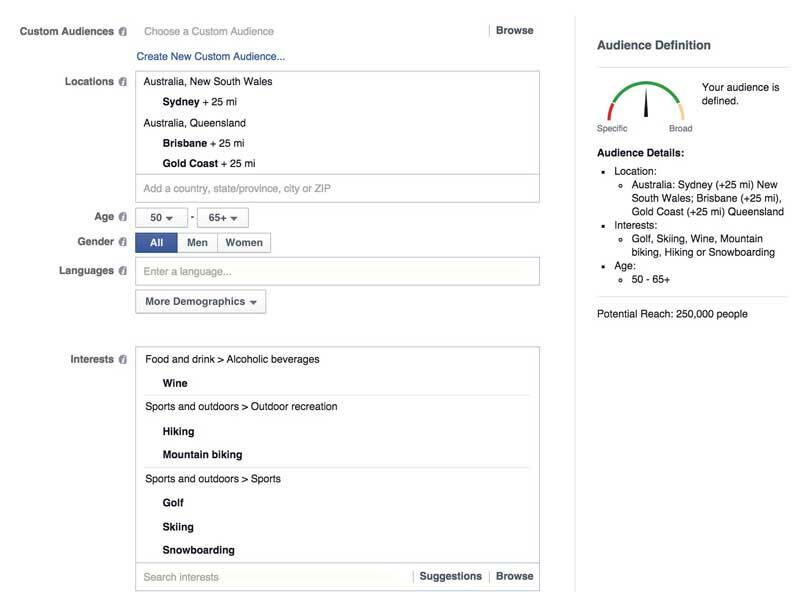 You could also divide that audience into a specific location and age group to target, and add in other interests such as golf depending on your campaign. Facebook is one of the online platforms with the greatest selection of targeting. If I wanted to target single mothers in San Diego with a household income of over $100k, with a university education, and who were likely to buy a new BMW within 6 months I could probably do it on Facebook. Note : You used to be able to target Fans of a certain page – but this is the latest way of doing it. You may find you have to play around with variations to find the publication in the results. Unfortunately not all pages appear here – I’ve seen pages with over 10,000 fans not appearing in this search. What about targeting people in the area who like your tourism organisation? If you’re struggling to build an audience, use Facebook Audience Insights from your page to find out what other pages your audience like. If you’re unsure of the terminology, a media takeover is when an advertiser takes over something like the homepage of a website or publication, a section of a website with heavily branded advertising, or ‘advertorials’ which is sponsored editorials. For most operators, it’s mega money, and may run into the tens of thousands of dollars. So, how can you do a cut down version of a media takeover? Google Display advertising reaches around 90% of the websites that advertise on the internet. If you have banner ads for your brand, and a Google AdWords account, you too can get ads appearing on those websites you may perceive as having a high advertising value. Depending on the site, you may just be able to pick an ad and they decide where to place it, or you may be able to pick a specific placement such as a the business or travel section. When you hover over each placement you can see which banner sizes they will accept so you can be ready with your creatives. Above I’ve managed to target Traveller.com.au, TNT Magazine (a backpacker magazine), Stuff – one of the most visited NZ news sites, and the NZ Herald. Targeting using a Display Campaign is far cheaper than taking out print ads in the same publication. One thing to note : Your designers may be used to laying out some amazing branded creatives you’ve used for years. With online you should think outside the box. The banners that you think look the best may not be the ones that get clicked on. In one campaign I had two identical banners for a luxury resort, one with a bunch of Tripadvisor awards on it, and one without. Naturally you’d think the one with awards would get higher clickthroughs, but in practice, the one without generated almost 50% more clickthroughs. You may not have time to reach out to individual travel bloggers or pay for sponsored editorials but your destination management organisation may have ‘famil’ programs you can join. This may allow you to join a national, or regional media outreach program where you donate some of your product to visiting journalists by hosting them, in the hope of getting media exposure. Don’t give up too soon if it doesn’t work for you straight away – you may just hit on a travel blogger with a following of over a million, or a mention in a targeted article about your destination. If you strike gold, the cost of the seat in your 4×4 tour, a bed and meal in your resort, or a space on your activity may be far cheaper than the cost of placing an advert with the same reach and combined message. TV Campaigns cost money, and they may be hard to track. Shooting a 1 minute ad on YouTube and delivering it via a YouTube instream ad or equivalent doesn’t cost the same. YouTube reaches more 18-24 year olds in the US than the major cable channels combined, and its a very cost effective form of advertising. It’s also the second largest search engine in the world after plain old Google. Make the initial part of your video with a strong call to action to encourage engagement and you’re off to a good start, AND you can track clickthroughs and purchases as a result of it. These ads can play before a video view, or during a video view to reach your intended audience. 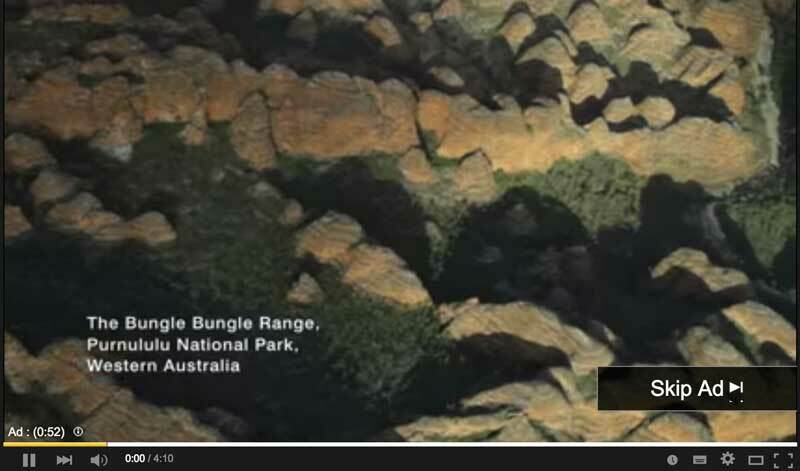 It’s important to get your targeting correct though – I don’t think this ad that appeared for Montreal when I searched on YouTube for ‘australia tourism’ was very well targeted, or they are taking a big punt with their advertising spend! My local RTO organises some great events in domestic and international markets, and the national tourism organisation does the same. Sometimes these generate quite a bit of social media buzz, and there are specific, and more generic ‘hashtags’ that are used by many organisations for these. There’s a good chance your RTOs use similar hashtags. You can see some sample posts on Twitter using #nzmustdo on this twitter #nzmustdo search results. So why is this important? Find out hashtags other organisations or individuals are using, and use them in your social media posts. If online users start to search for these tags, or they start to trend, you may get increased exposure by using them. Perhaps there’s a local conference happening right now using a hashtag such as #travelconferenceboston (I made this up). If there were 1000 delegates at that conference tweeting about it and you posted on Twitter saying “Welcome to #travelconferenceboston – hit us up for a massage to wind down at the end of your busy schedule” you never know, it may just generate awareness and bookings. As I type this, our local TEDx is happening. The screenshot below shows some of the Twitter posts going on right now (yes, I should be there). The above shot is of Queenstown – you can see it’s a great destination to be able to market! If you look past the images, do you see what may happen if I did a post using the same hashtag? Look closely. Yes, Trey Ratcliff is talking at the event. Incase you don’t know, Trey has a gazillion followers across social media with his photography website, and has one of the biggest followings on Google+ globally. If I post with the same hashtag, I may have just tapped into some of his followers. It just so happens he has a photography workshop happening in town this week too which has a number of individuals who probably have a decent amount of disposable income. Perhaps they are my target audience? If you use this technique, be sensible, and don’t be spammy. If you want to put in a stronger call to action, put up a discount code too. Hashtags can be used across a number of different social channels – as well as Twitter they can now be used on Facebook, Google+, Instagram and others. Tap into what’s trending in your area. When you run advertising campaigns there’s a good chance it will perform better if the pages your audience lands on after the click is congruent with what they are searching for, or what you are advertising. As an example, if you are advertising about Lord Of The Rings tours and targeting an older demographic, there’s no point in landing on a page on your website that talks about your wine tours and mountain biking. Make a specific ‘landing page’ that speaks directly to your audience. Facebook, Google and other platforms care about user experience. If you use AdWords you’ll increase your quality score, or if you use Facebook, you’ll increase your relevancy score, and you know what that means? Your ad will probably be served more, and you’ll pay far less for your advertising compared to your competitors. Remarketing is a way of advertising to people who have already visited your website. The idea is they have already shown interest in your product, but as you may know, apparently us humans have attention spans 1 second shorter than a goldfish. You look at websites, your mum phones, the kids start crying, or the dinner starts boiling over. You go and deal with something else, and when you get back to your computer you start something completely different. Remarketing (or retargeting) allows you to advertise to visitors of your website, when they are browsing other websites, allowing you to stay ‘top of mind’. This is very important when travellers are in the research stage and checking out different options before they travel. There’s a number of different platforms you can use for this from Google AdWords through to Facebook and everything inbetween. Here’s an example of a piece of remarketing I did for the BMW New Zealand Open. 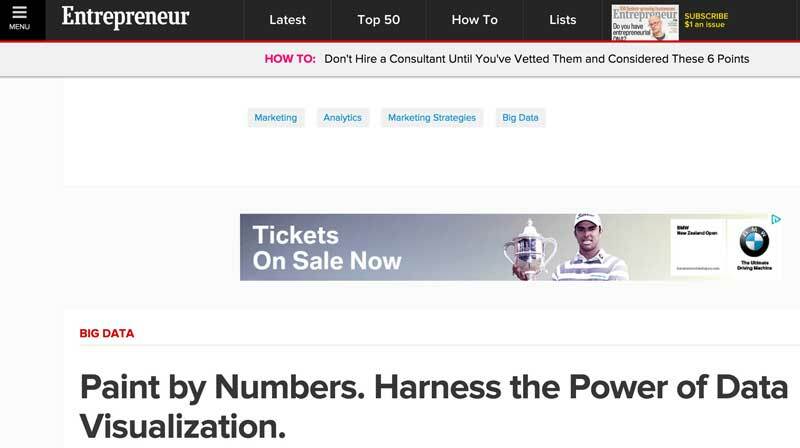 The advert appeared as I browsed Entrepreneur.com but I never had to select that website in my campaign – the magic behind it just ties my computer up with the remarketing audience I created, and serves an ad for me on a site that allows it. Facebook are constantly changing their advertising targeting, and one type of targeting which is worth experimenting with if you are in the tourism industry is the ‘Currently Travelling In’, or ‘Intender’ (intending to travel to) targeting. 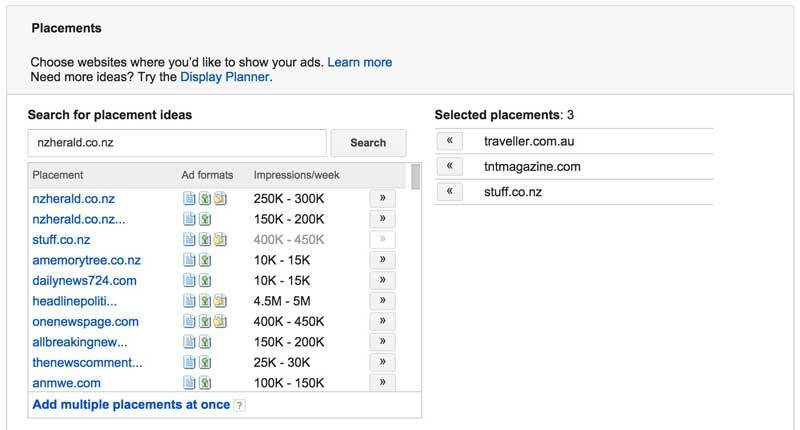 This can be found in the Behaviours -> Travel section of the Facebook Ad Manager. This type of targeting lets you target people who are either travelling in your targeted location, or showing an intention to travel to that location. Facebook can assume this based on where things are posted from compared to your home location, or if you suddenly start writing a lot about New Zealand or elsewhere. A bit spooky yes, but great for advertising. Intenders only seem to be available in certain locations, but again I’ve hit the sweet spot in Australia – 270,000 people to advertise to! In theory, this audience is looking for things to do in your area! and be surprised how accurate it may be. Online you can pretty much measure everything, but its amazing how few businesses track anything online. If you’re capturing leads, set up goals for email signups, if you’re selling a room online, track the value of the room booking. There’s a bit of technical setup for this, but otherwise you’ll measure metrics such as clickthrough rates (or CTR) which may be meaningless. Who cares if you have a clickthrough rate of 50% or a bounce rate of 20% if no-one is buying. Despite how many visitors you get there, if your website has a terrible design that makes it hard for the visitors to do what you want them to, you’re probably going to miss out on revenue. If you measure the right metrics, you’ll be able to know whether your $500 ad spend is generating a positive return on investment…or not. You can measure everything from traffic from Facebook posts or individual emails – it doesn’t have to be a huge advertising campaign or have huge marketing budgets. So there you have it. 10 Ways to Piggyback on Your RTOs Digital Marketing Strategy on a Shoestring Advertising Budget. I hope this article has given you plenty of ideas to spruce up your online advertising campaigns. As I always advise, don’t try to implement all of these at once or you may get easily overwhelmed. Use the ideas and factor them into your next online campaign. Some of these ideas cost nothing to implement apart from a few extra seconds when posting on social media (e.g hashtags). Did you like this article? Share the love and send the tweet below, or share it across social media so your friends and colleagues can find out more.